hermod wrote: November was too late. Mengele was out in summer 1945. That's just a War Crimes Unit list I happened to have. You shouldn't assume that's the earliest there is. I don't have photographs of all War Crime Unit docs on my PC unsurprisingly. G. Posner claims Mengele appeared on a wanted list in April 1945. On a wanted list in April 1945 but released a few months later. Proof most of Mengele's legend was written later, probably for the Nuremberg farce. What I find amazing is Mengele used his real name while in U.S. custody. Had you been the terrible Angel of Death of Auschwitz - as terrible as the one described in most postwar 'Holocaust' tales - would you have given your real name to the Allies who had clearly promised during WW2 that they were going to punish the "Nazi crimes" very severely? That would have been suicide. Nothing forced Mengele to give his real name. He had no SS tattoo if memory serves me right. Giving his real name sounds like what a man who thought he had nothing to fear from the well-known Jew-loving Allies would have done. He certainly concealed the fact he was SS. Posner states that all POWs had to complete a questionnaire for their U.S. captors. Posner makes no mention of what Mengle's said. Presumably it was lost or destroyed. Hadn't Mengele concealed he was SS, he wouldn't have been released as the SS had been labelled a "criminal organization" by the U.S. administration. Being a member of the SS was enough to be a "criminal" at that time. Patton's notorious comparison between the SS and the democrat party didn't infuriate the U.S. press for nothing. Mengele, third and fourth name on lists given by former Auschwitz prisoners. Waw. That looks incredible after decades of horror tales on the Angel of Death. They're not listed in order of purported malevolence. I know that. But that's how human brain works. If you are tortured by 3 men, no doubt you'll put the most sadistic one on the top of your list. Mkk if that is true it is because Mengele was only ever a side story, background noise in the whole issue of the persecution of the German people who it was decided had set about mass murder of the Jews in Europe. Bringing him into it at the IMT would have diluted the main claims. The reality is Mengele was most likely innocent of most if not all of the claims against him. Last edited by borjastick on Wed Jan 08, 2014 1:23 pm, edited 1 time in total. That doesn't qualify as 'proof' in my book. As I've already stated, Mengele's name appears on several dozen affidavits taken at Belsen in mid-1945 (April—September). Affidavits that all claim he made selections for gassings and/or performed experiments. In his book, Posner refers to and quotes two German doctors who were with Mengele before and during his interment. Their names were Fritz Ulmann and Hans Otto Kahler, presumably Posner's quoting from statements given to the German police between the 1960s - 1980s (he doesn't cite sources for them, but you can read Posner's account here). Kahler supposedly told Mengele it was dishonourable to use an alias, and claimed that was the reason why Mengele registered, twice, under his real name. I don't think there's anything suspicious in the fact the U.S. Army allowed Mengele to slip through their fingers at the internment camps. They had millions of Wehrmacht soldiers (not to mention the civilians) to process, and, at best, the section which held Mengele prisoner might have had copies of the UN or CROWCASS 'wanted' list with his name on it—although Eli Rosenbaum et al at the U.S. Justice Department were unable to prove whether they did or didn't. You know they're not, but you think they should be! We obtained some interpreters amongst whom two ex-internees, Czech Jewesses called Traute Neumann and Charlotte Duschenes, were extremely good. One had been interned for four years and the other for five years, in different camps, which included Auschwitz and Belsen, but as they had only come to Belsen ten days before the liberation they had escaped the full horrors and were therefore in pretty good health. There were thousands of people there and it was difficult to know where to begin. We got them to bring in their friends who were in a fit state to give evidence and, with the aid of the Military Government, we got various members of different nationalities to send people along. The procedure at first was that the witness was brought in and we explained that what we wanted was evidence of definite acts committed by definite people on, as far as possible, definite dates. We wanted specific instances of specific atrocities, and we got a whole lot of statements from various witnesses. Speaking for myself, I took rough notes as we went along. The witness went away and I put these notes into ordinary affidavit form. The witness then returned and the affidavit was read out to her and translated sometimes small alterations were made - and then the witness was sworn and signed it. I was there for about three weeks. DR. SEIDL: What concentration camps in the Government General did you know about during your activity as State Secretary? BUEHLER: The publications in the press during the summer of 1944 called my attention to the Maidanek camp for the first time. I did not know that this camp, not far from Lublin, was a concentration camp. It had been installed as an economic establishment of the Reichsfuehrer SS, in 1941 I think. Governor Corner came to visit me at that time and he told me that he had objected to the establishment of this camp when he talked to Globocznik, as it would endanger the power supply of the city of Lublin; and there were objections, too, on the part of the Police with regard to the danger of epidemics. I informed the Governor General of this and he in turn sent for Globocznik. Globocznik stated to the Governor General that certain workshops for the needs of the Waffen-SS at the front had been erected on that site by him. He mentioned workshops for dressing furs but he also mentioned a timber yard which was located there. In these workshops for dressing furs, as I heard, fur articles from the collection of furs were altered for use at the front. At any rate, Globocznik stated that he had installed these workshops in compliance with Himmler's command. The Governor General prohibited the erection of any further installations until all questions were settled with the police in charge of building and blueprints had been submitted to the state offices, in other words until all rules had been complied with, which apply to the construction of buildings. Globocznik never submitted these blueprints. With regard to the events inside the camp, no concrete information ever reached the outside. It surprised the Governor General just as much as it surprised me when the world press released the news about Maidanek. DR. SEIDL: Witness, the Prosecution has submitted a document, Number 437-PS, Exhibit USA-610, which is a memorandum from the Governor General to the Fuehrer, dated 19 June 1943. I think you yourself drafted that memorandum. On Page 35 a report of the commander of the Security Police is mentioned and quoted verbatim in part. This report of the Security Police mentions also the name of Maidanek. 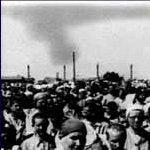 Did you at that time realize that this Maidanek was identical or probably identical with that camp near Lublin? BUEHLER: No. I assumed that, like Auschwitz, it was a camp outside the territory of the Government General, because the Governor General had repeatedly told the Police and the Higher SS and Police Leader that he did not wish to have concentration camps in the Government General. DR. SEIDL: Under whose jurisdiction was the administration of concentration camps in the Government General? BUEHLER: I don't know because I did not know of the existence of the camps. In August, on the occasion of a visit to the reception camp at Pruszkow, I heard about the administration of concentration camps in general. At that time I brought instructions from Himmler to the camp commandant, according to which transport of the inhabitants of Warsaw who had been removed from the city to concentration camps was to cease forthwith. DR.SEIDL: Was that after the uprising in Warsaw? BUEHLER: It was during it; it must have been on or about 18 or 19 August 1944. The camp commandant, whose name I have forgotten, told me at the time that he did not know about that order, and that he could receive instructions only from the Chief of Concentration Camps. SMIRNOV: In any case the property of Jews murdered in the concentration camps of Poland was, as a result of your negotiations, transferred to warehouses in the Government General? BUEHLER: That is not correct. The property mentioned was not that which proceeded from Jews who were killed, but simply property which came from Jews and which was removed by the Police after having been converted through the administration department in the regular way. SMIRNOV: But could the Security Police or the SD be in possession of property belonging to Jews who were not murdered? BUEHLER: Why not, Right from the beginning the Police had taken over Jewish problems, and therefore also came into possession of their property in this manner. SMIRNOV: But did the Auschwitz depot in Chopin Street also keep the property of Jews who had not been murdered? Of Jews who were still alive? BUEHLER: The depots which have been mentioned here are not to be interpreted as being concentration camps, but as depots where goods were stored. SMIRNOV: What other depots were there for storing the movable property of Jews besides those in the concentration camps? BUEHLER: I do not know what things looked like in concentration camps, as I have never entered or seen one; but that the Police took possession of movable Jewish property is something I was certainly told about by the director of nay trustee department. SMIRNOV: On the 21 February 1944 the front line ran through the Government General. How and where could the Jews have been transferred to the northeast? BUEHLER: According to the conference this was to have taken place in 1942. MR. COUNSELLOR SMIRNOV: The document is dated 1944, 21 February 1944. Martin Franz Julius Luther, an advisor to Foreign Minister Joachim von Ribbentrop, was also pretty much in the dark about the extermination of the Jews. He was even more than "pretty much in the dark". He represented the Foreign Ministry at the Wannsee Conference. At this conference, he voiced concern about the large-scale "resettlement" required throughout occupied Europe, which seemed to indicate that he did not fully understand what was being planned. Surprising as Martin F. J. Luther wasn't described as an idiot but as "a master schemer" what had made him become "one of Ribbentrop's favourite hatchet men". 7 months after the Wannsee Conference, on 21 August 1942, he wrote a detailed memorandum on the Nazis' policy for the Jews. In that memorandum, he wrote: "at the end of this war all Jews would have to leave Europe. This was an unalterable decision of the Fuehrer " (http://winstonsmithministryoftruth.blog ... leave.html). Luther conveniently (conveniently for the holo-myth) died of a heart attack (ahem) in May 1945, at 49 years old, shortly after falling in Soviet hands. Another man who would have been very useful at Nuremberg in order to give a detailed explanation of the Nazi policy toward Europe's Jews, but who didn't stay alive long enough to see the IMT with his own eyes. One of Luther's colleagues, Franz Rademacher, hadn't patently understood either that "Final Solution" meant "kill all the Jews who can be caught". Fortunately Ben Hecht and the Bergson Group (Irgun) understood in early 1943 that the Nazis were exterminating the Jews or maybe we would still be in the dark today. "It is a sorry fact that I heard of (these gassings) first through the radio and through the newspaper reports. I must say that it is a brand of infamy for the German people, that I must say." - Dr. Engineer Dürrfeld, temporary director of the Buna factory at Auschwitz III, document NI-11046. Mr Reich Minister Lammers informed me that the Führer had repeatedly declared to him that he wants to hear that the Solution of the Jewish Problem has been postponed until after the war is over. That being so, the current discussions are of purely theoretical value, in Mr Reich Minister Lammers' opinion. He will moreover take pains to ensure that, whatever else happens, no fundamental decisions are taken without his knowledge in consequence of a surprise briefing by any third party. Document's origins. Schlegelberger's undated minute on Lammer's reference to Hitler's ruling is in German Federal Archives (BA) file R.22/52. It was sent to Staatssekretär Freisler and two other officials (bottom left). This document has been published in facsimile in David Irving's books Hitler's War, Goebbels. Mastermind of the Third Reich, and Nuremberg, the Last Battle. It was definitely dated March or April 1942. Lammers was in Berlin on April 26, 1942. See Scheel's report on a talk between Lammers and Meissner after the final Reichstag session that day (T175/139/7479 et seq.). On the occasion of a reception by the Reich Foreign Minister on 26 November 1941 the Bulgarian Foreign Minister Popoff touched on the problem of according like treatment to the Jews of European nationalities and pointed out the difficulties that the Bulgarians had in the application of their Jewish laws to Jews of foreign nationality. The Reich Foreign Minister answered that he thought this question brought by Mr. Popoff not uninteresting. Even now he could say one thing to him, that at the end of the war all Jews would have to leave Europe. This was the unalterable decision of the Fuehrer and also the only way to master this problem, as only a global and comprehensive solution could be applied and individual measures would not help very much. Ernst Kaltenbrunner, described as "a prime figure in the “Final Solution” in the last years of the war" by the United States Holocaust Memorial Museum (http://www.ushmm.org/wlc/en/article.php ... d=10007115) as depicted by the funny drawing below (just under Hitler and Himmler in the "gassing chain"), was a prominent "Holocaust denier". Tall and lantern-jawed, face pockmarked and scarred, the defendant was the most ominous-looking man in the dock and had no friends there. Rebecca West wrote that he 'looked like a vicious horse.' But despite his sinister visage, Kaltenbrunner was, like his fellow Austrian Seyss-Inquart, a well-educated lawyer. Kauffmann followed the example of Dr Nelte and Keitel by confronting Kaltenbrunner with one after another of the criminal events with which the prosecution had targeted his client. Relying heavily on the limits of his responsibility as he had described them, Kaltenbrunner denied guilt for each and every event. Kaltenbrunner asserted that he had only once visited a concentration camp (Mauthausen), denied that he ever saw a gas chamber, and denied virtually everything else that Kauffmann put to him. Sir David Maxwell-Fyfe: The Fuehrer, at any rate, must have had full knowledge of what was happening with regard to concentration camps, the treatment of the Jews, and the treatment of the workers, must he not? Sir David Maxwell-Fyfe: I am not asking about details; I am asking about the murder of four or five million people. Are you suggesting that nobody in power in Germany, except Himmler and perhaps Kaltenbrunner, knew about that? Another prominent Nazi "Holocaust denier", General Erhard Milch, who knew nothing about the gas chambers but believed that the foreign atrocity propaganda broadcasts were a reliable source of information. Along with the millions of people around the world who avidly followed the Nuremberg proceedings by radio and newspaper, the defendants themselves were shocked by the evidence presented to substantiate the extermination charge. Above all, the testimony of Auschwitz commandant Rudolf Höss and Einsatzgruppen commander Otto Ohlendorf made a deep impression. Contrary to what is often claimed or insinuated, however, the Nuremberg Tribunal defendants declared that they did not know of any extermination program during the war. /94 These men were, in a sense, the first "Holocaust revisionists." "I can only say, fully conscious of my responsibility, that I never heard, either by hint or by written or spoken words, of an extermination of Jews ... I never had any private information on the extermination of the Jews. On my word, as sure as I am sitting here, I heard all these things for the first time after the end of the war." Frank's testimony is particularly noteworthy because if millions of Jews had actually been exterminated in German occupied Poland, as alleged, hardly anyone would have been in a better position to know about it. During the course of the trial, Frank was overcome by a deep sense of Christian repentance. His psychological state was such that if he had known about an extermination program, he would have said so. "I say yes, and the reason why I say yes is because, under the impression of these five months of the proceedings, and especially under the impression of the testimony of the witness [former Auschwitz commandant] Höss, I cannot answer to my conscience to shift the responsibility for this solely on these low-level people. I never built a Jewish extermination camp or helped to bring one into existence. But if Adolf Hitler personally shifted this terrible responsibility onto his people, than it also applies to me. After all, we carried on this struggle against Jewry for years ... And therefore I have the duty to answer your question in this sense and in this context with yes. A thousand years will pass and this guilt of Germany will not be erased." "In the witness stand I said that a thousand years would not be enough to erase the guilt of our nation because of Hitler's behavior in this war. [However,] not only the behavior of our wartime enemies against our people and our soldiers, which has been carefully kept out of these proceedings, but also the enormous mass crimes of the most terrible kind against Germans, which I have only now learned about, especially in East Prussia, Silesia, Pomerania and in the Sudetenland, which have been and are still being carried out by Russians, Poles and Czechs, have now already completely canceled out any possible guilt of our people. Who will ever judge these crimes against the German people?" Q. Witness after witness, by testimony and affidavit, has said that the gas chamber killings were done on general or specific orders of Kaltenbrunner. A. Show me one of those men or any of those orders. It is utterly impossible. Q. Practically all of the orders came through Kaltenbrunner. The case of Albert Speer, one-time Hitler confidant and wartime Armaments Minister, deserves special mention. His Nuremberg defense strategy was unique and also rather successful because he did not hang. While maintaining that he personally knew nothing of an extermination program during the war, he nevertheless declared himself morally culpable for having worked so diligently for a regime he belatedly came to regard as evil. After serving a twenty-year sentence in Spandau prison, the "repentant Nazi" was "rehabilitated" by the mass media for his somewhat subtle but fervent condemnation of the Hitler regime. His contrite memoir, published in the US as Inside the Third Reich, was highly acclaimed and sold very profitably in Europe and America. Such testimony by the men who were most familiar with Germany's overall Jewish policy is routinely dismissed as brazen lying. But the categorical and self-consistent nature of this testimony, sometimes by men who knew that death soon awaited them, suggests a core of truth. On the other hand, to accept the Holocaust extermination story means giving greater credibility to the most fantastic and often demonstrably false testimonies by very questionable witnesses. Since Hannover went to the trouble of posting a link, I followed it to the Quora for a quick peek at what O'Neill has. What he has is a very tidy little group of the self righteous busily engaged in smugly patting each other on the back for their unassailable belief in the impossible. O'Neill and his followers have created for themselves the ultimate comfort zone, the comfort enjoyed by religious zealots who are committed to absolute belief. Good luck with your debate invitation, Hannover, but O'Neill et al. would no doubt consider it apostasy. Heresy, too. In 1933, German officials of the Third Reich first denied vigorously and publically the foreign vilification campaign against their regime. Later, especially during WW2, the Nazis were used to the foreign atrocity lies and probably too weary to waste their time denying most of those stories publically. They knew it was useless anyway. hermod wrote: Prominent Nazi Holocaust Deniers: Himmler, Hitler, Goebbels, Ribbentrop, Goering, Kaltenbrunner, Hans Lammers and S.S. Major-General Heinz Fanslau. DR. KAUFFMANN: Do you differentiate between the smaller camps and the regular concentration camps, and if so, why? KALTENBRUNNER: The difference is very obvious for the following reasons: Any worker who worked in armament industries -that is; each internee-worked in the same enterprise, in the same factory, as every other German or foreign worker. The difference was merely that the German worker at the conclusion of his working hours, at the end of the day, returned to his family, whereas the internee of the labor camp had to return to the camp. DR. KAUFFMANN: You are accused of establishing the Concentration Camp Mauthausen, that you visited this camp repeatedly. The witness Hollriegel, who testified here, said he had seen you in this camp. He also claims to have seen you inspecting the gas chambers while they were in operation. There is an affidavit of Zutter, who has already been mentioned today and who claims to have seen you at the Concentration Camp Mauthausen. From this the Prosecution conclude that you, too, must have known exactly about these conditions which were beneath human dignity. I am asking you now, is this evidence correct or wrong? When did you inspect these camps, and what observations did you make? KALTENBRUNNER: The testimony is wrong. I did not establish any concentration camps in Austria where I was until 1943. I did not establish a single concentration camp in the Reich from 1943 onwards. Every concentration camp in the Reich as I know today, and as has been proved here with certainty, was established on orders of Himmler to Pohl. This applies also-and I wish to emphasize this-to the Mauthausen Camp. Not only were Austrian authorities excluded from establishing the Mauthausen Camp, but they were unpleasantly surprised because neither was the conception of a concentration camp in that sense known in Austria, nor was there a necessity for establishing concentration camps anywhere in Austria. DR. KAUFFMANN: And now, in Germany, in the Reich proper? KALTENBRUNNER: What do you mean by that? DR. KAUFFMANN: I am asking regarding your knowledge of conditions there. KALTENBRUNNER: I heard gradually more and more about conditions in concentration camps. It is apparent that I must have heard of these things already by way of the entire Reich intelligence service and its news channels for home politics. DR. KAUFFMANN: Did you not, as testified by Hollriegel, see the gas chambers in operation? KALTENBRUNNER: Never; neither while they were operating nor at any other time did I see a gas chamber. THE PRESIDENT: You are going too fast. Make pauses between your questions and answers and don't speak too fast. He said that he had gradually by way of Intelligence, heard of the concentration camps in the Reich. Is that right? [Turning to the defendant.] You heard gradually about conditions in the concentration camps, that is what you said, is it not? DR. KAUFFMANN: Do you recall my last question? DR. KAUFFMANN: Whether you saw the gas chambers in operation? KALTENBRUNNER: Yes, I already answered that I never saw a gas chamber, either in operation or at any other time. I did not know that they existed at Mauthausen and testimony to that effect is entirely wrong. I never set foot in the detention camp at Mauthausen-that is, the concentration camp proper. I was at Mauthausen, but in the labor camp, not in the detention camp. The total complex of Mauthausen, as I remember it today, extends over an area of ~ kilometers. Within this area there is a space of perhaps 41/2 or 5 kilometers of labor camps. There are the largest granite quarries in Austria, and they were owned by the city of Vienna. DR. KAUFFMANN: A picture has been shown in which you appear together with Himmler and Ziereis. KALTENBRUNNER: I was just coming to that. The quarries belonged to the city of Vienna. The city of Vienna had a vital interest not to be excluded from the deliveries of granite which they used for paving the streets of Vienna. Now, according to a Reich law, as I learned later, this large quarry was expropriated from the city of Vienna by the WVHA-Pohl-and the city of Vienna was excluded from the supply of granite for quite some time. Now, the city turned to me to approach Himmler on this. It happened that Himmler was visiting and inspecting southern Germany and decided to visit Austria and Mauthausen and asked me to see him there. In that way, it came about that I was with Himmler at this quarry. Whether or not I was photographed at that time, I do not know. I have not seen the picture and I cannot say whether I am in it. I might add something. Neither at this time nor at any other time did Himmler ever take me into a concentration camp or suggest that he do so; as I learned later, he had certain reasons for not doing so. I would not have attended such an inspection for I knew very well that as far as I was concerned, he would, as he did with others whom he had invited on such visits, show me "Potemkin villages" and not conditions as they actually were; and, except for a handful of men in the WVHA, no one else was allowed to see how things really were in concentration camps. DR. KAUFFMANN: Now, may I ask you-you are speaking about a handful of men-you did not belong to this group? KALTENBRUNNER: No, I did not. This handful of men were Himmler, Pohl, Muller, and Glucks, and the camp commanders. Further information about Hitler's secretary Traudl Junge and her ignorance concerning the Big H until after WW2. A funny part with the dean and founder of the Simon Wiesenthal Center getting mad because "those in the close circle around Hitler" were all "Holocaust deniers" (if being unaware of something about which one would have been in good position to know if real is "denial") and their postwar words were "basically revisionism".